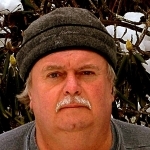 Writer and photographer Randy Bodkins grew up in Norton, West Virginia, in Randolph County. Raised in the Allegheny Mountains, he a self-taught naturalist and an accomplished outdoorsman. He believes that one should never quit learning to be observant.